U look great, most of all i like those amazing pants and necklace:) good choice! shoes and necklace are sooo perfect! 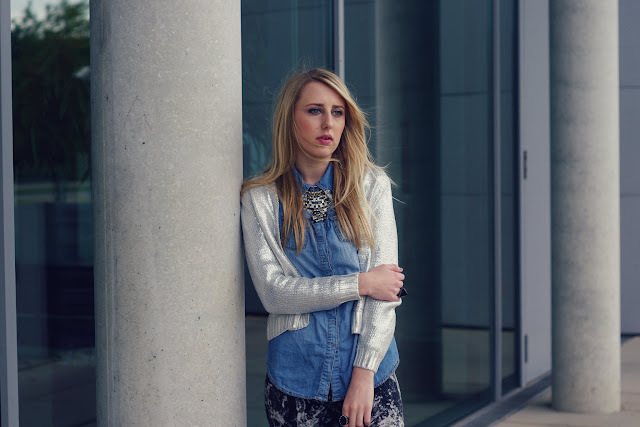 I have new post, so if you're bored, check it out! Such a lovely outfit. Your shoes and necklace are stunning. Great style. waiting to have you on my followers list. I'm following you back then. I follow you too because you have a great blog too, creative posts, beautiful look.... I loved, we keep touch, dear xoxo! Dieses silberne etwas finde ich toll !!! Amazing shoes! That's grate outfit,I like denim shirt! Love this look. You are fierce, girl! Your outfit is just perfection! I love the back of your sweater and those boots are amazing! great, loved the collar , necklace a lot !Thanks so much for ur comment on my blog ! Yes we can follow each other, follow me n I’ll follow u right back ! Love the jacket ! It's really cool! And gotta have these boots!!! Love the look! Hello!!! Thanks for your comment! 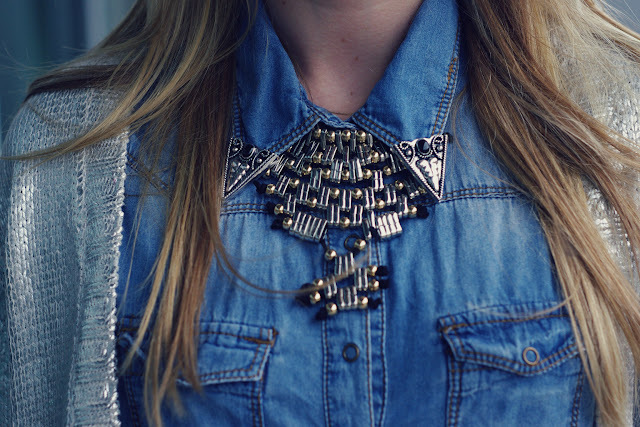 I follow your blog now :) the jeans are so pretty and the necklace wonderful! Love it! Great look! Loving your sweater and leggings! pretty damn cool look. lusting over that sweater..
stunning look!! obsessed with those leggings! following you now. hope to see you again on my blog! Olá acabei de conhecer o seu blog e eu adorei! Me tornei sua seguidora e te espero no meu blog também! I absolutely LOVE your sweater!! And I love how you're wearing it! thank you for the comment dear! I'm a new follower and it would be awesome if you followed back :D Love the outfit by the way I adore the pants! I totally love your look - the pants, boots and the necklace are so beautiful! Thanks so much for ur comment on my blog !followed u on gfc n bloglovin ! stay in touch ..
Amazing Outfit. Looooove the Pants! wow you are so beautiful! and your style is so amazing <3 and your style is awesome! totally love your blog! sure we can follow each other <3 i just followed you, hope you do same! that jacket is extraordinary. love your look. Hi!! thank you for leaving a comment in my blog, I found your blog very very interesting, I've seen your posts and I ALL without exception, ALL of thel are very inspirational. I love your style. Here every piece is perfect! Aww, amazing photos and outfit! 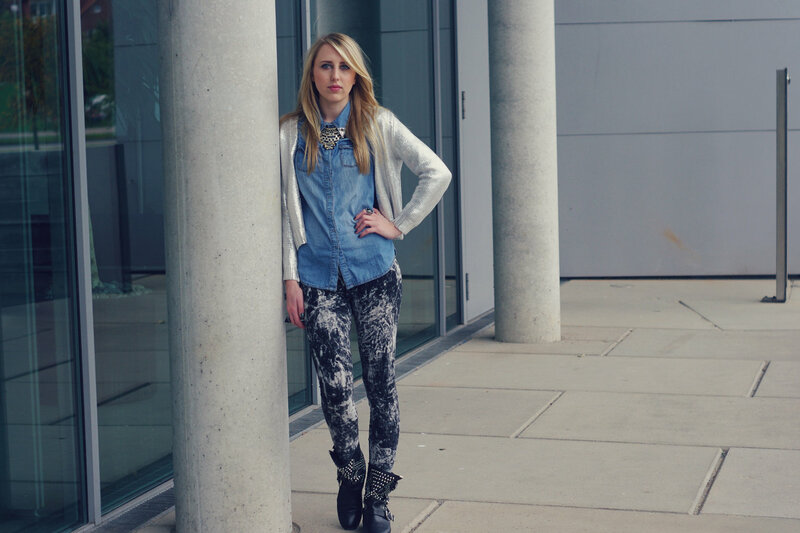 Love everything, especially your jeans! Amazing look and so beautiful pictures!!! Oh, lovely outfit <3 I lvoe metalics! die Schuhe habe ich heute bei eine Mädchen gesehen! sooo schön auch im echt!!! tolles Outfit! 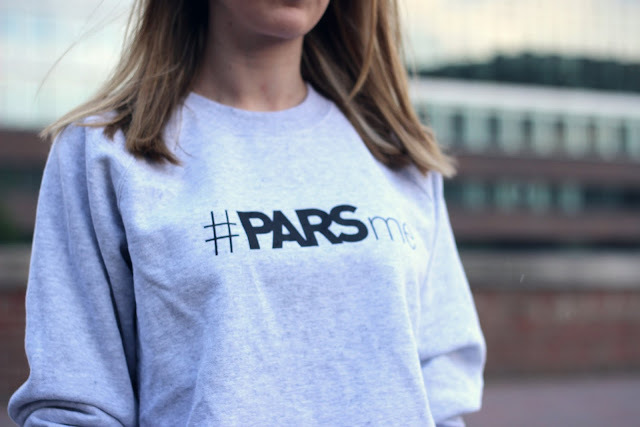 Diese Bluse ist der Wahnsinn! Waren die silbernen dinger schon am Kragen dran ?